We have a large assortment of excellent American design products. Using the heavy-duty, 19oz., American made vinyl, and industrial sewing machines made to handle synthetic thread, we double stitch the whole unit with the highest precision and care. 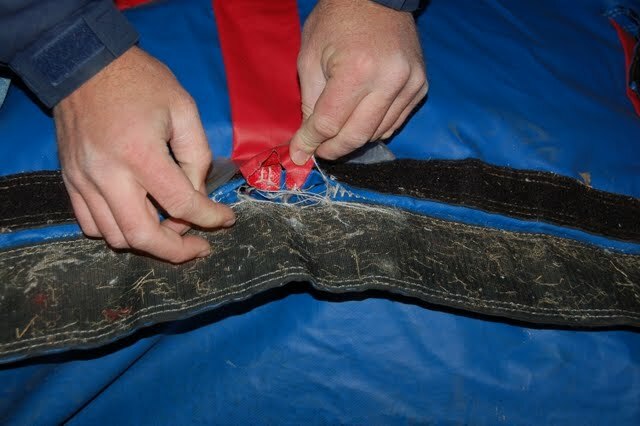 All of the high-stress points and interior panels are bonded and reinforced with special webbing. All of AmeriZyn’s products are made in the United States. We provide our customers with the lowest prices, quick and professional services. Our team can create and design specifically to your own exciting concepts! AmeriZyn’s repair and restoration team will be more then happy to assist you with your troubles. Whether you require a major or a minor repair,we are capable of solving your problem. 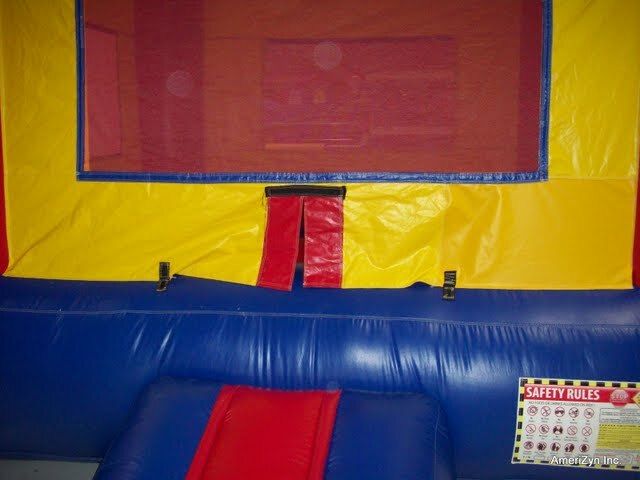 AmeriZyn’s moon jumps, bounce houses, inflatable slides, obstacle courses, inflatable games, tent tops, and other vinyl equipment are always top quality. 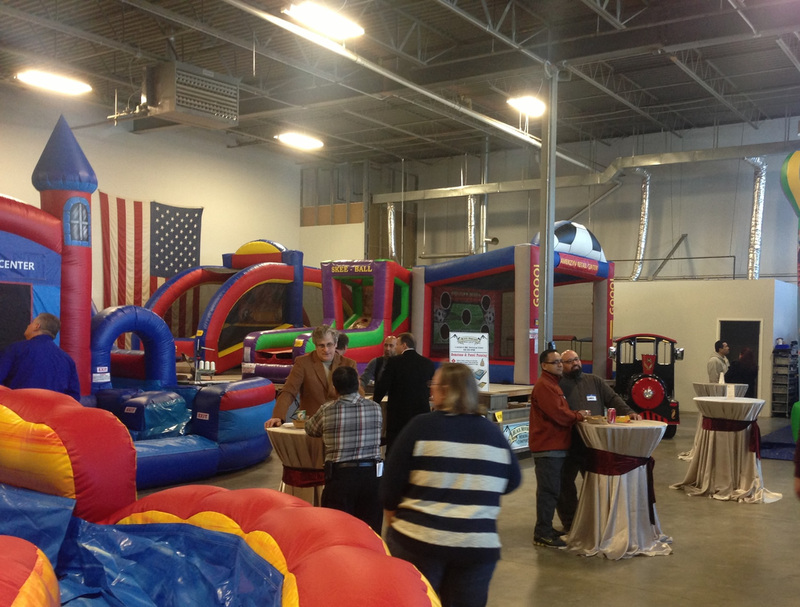 We are ready to work on your inflatable or vinyl product needs at our facility located in Melrose Park IL. For minor repairs, let AmeriZyn’s mobile repair unit come to your place of business! We offer affordable monthly maintenance programs as well as one-time standard cleaning rates. 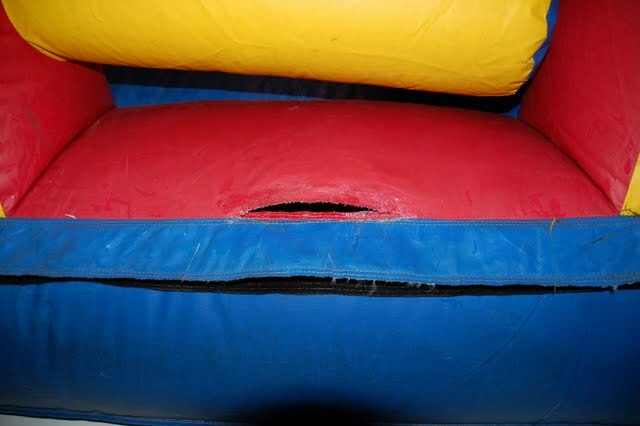 We realize that wear and tear is common in the world of inflatables. Using AmeriZyn’s maintenance program is the most cost-effective way of preserving your equipment. AmeriZyn’s state-of-the-art Teeco™ Solutions commercial washer, specially designed for washing large volumes of vinyl and canvas material, as well as sidewalls, webbing, and straps, can achieve the quality cleaning you need. 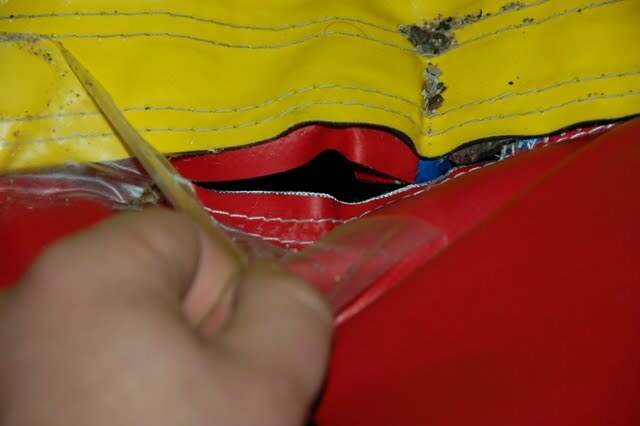 Do you worry about leaves and moisture left on your tents during the offseason? How much effort and time do you spend washing your commercial tents only to find the result is not as bright and clean as it should be? 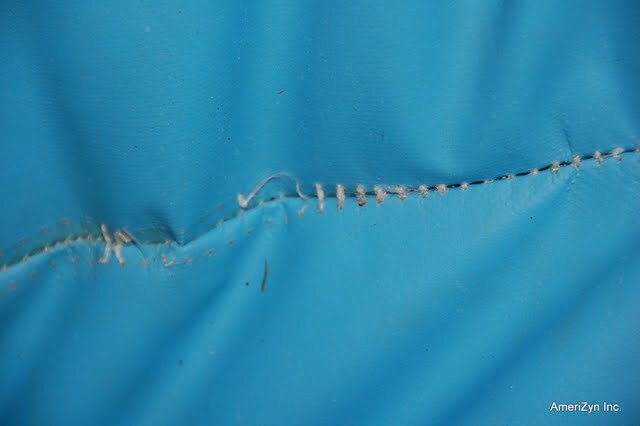 Have you had to replace a tent earlier than planned simply because it didn’t look good enough? Have a job for AmeriZyn? Just follow the link below and fill out the large form or is it a simple request? Just fill out the fields below and we will get back to you. Visit our store, select services then submit a more detailed request! Or below, use our simple contact form if you know what you need. 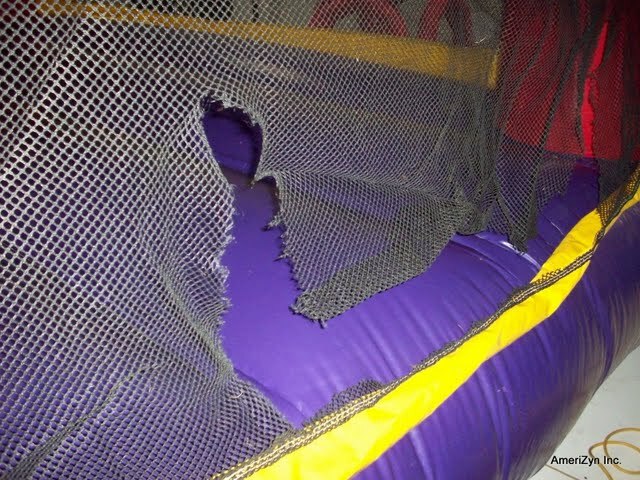 Below are some before (where inflatables and other parts are damaged or in need of maintenance) images and after (completed units or parts that have been repaired or cleaned by our team) images that show many different and circumstantial issues. If you would like to see our full gallery and more examples of what we can offer you , click on any picture below to go into AmeriZyn’s gallery!